The Watershed Council Board of Directors volunteer their valuable time, knowledge and skills to help make sure the Marys River watershed remains vital for both people and wildlife. Their role is to help the Council achieve its mission of promoting voluntary stewardship of the Marys River. If you are interested in volunteering your time and talents for the sake of a healthy Marys River watershed, please visit this webpage to learn more about Board service or call our office at 541-758-7597. Thank you to the following individuals for making watershed health a top priority for all of us. Annie comes to MRWC with a background in agronomy, native plants and restoration. She has worked for the Natural Resources Conservation Service (NRCS) since 2010, and is currently the manager of the Corvallis Plant Materials Center. 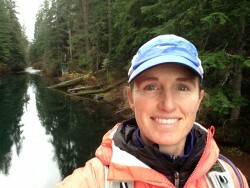 Annie brings a strong agricultural perspective to restoration prioritization in the watershed as MRWC extends its work from the headwaters downstream to the Willamette. Thom is a retired research ecologist with 30 years of professional experience developing and evaluating ways of measuring aquatic ecosystem conditions. Thom has been an active member of the Council for over 20 years; as a member of the Water Quality Monitoring committee, making presentations to Council on the Clean Water Act, on the risk of zebra mussel invasion, and on historic patterns in low flow and flood conditions in Marys River. Previously Thom served as the Board Chair for seven years. As a landowner along the lower Marys River, Thom has gained much firsthand experience with the river’s variable hydrology. Jeff is the CEO of Turnstone Environmental Consultants, Inc. He is also a partner in the Muddy Creek Wetland Mitigation Bank. 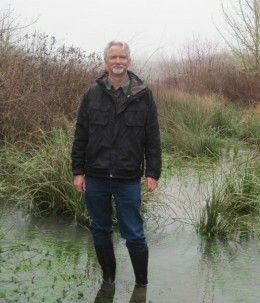 Jeff has 20+ years of experience as an environmental professional, with expertise in wetlands and wildlife. He is very familiar with the regulatory frameworks governing restoration and development, and with the delicate balance required for conservation and economic development. Jeff brings a rural landowner’s perspective to the Board, and rich experience serving with Philomath-area non-profits. Michael has been the Executive Director of the Greenbelt Land Trust since 2010. He holds a BS, MS, and PhD in Wildlife Science from OSU. As a wildlife biologist, he conducted research on marbled murrelets, black bear, Roosevelt elk, sage, ruffed and blue grouse and mountain quail. 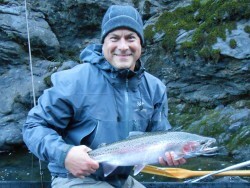 Michael was a Research Assistant and Faculty Research Associate at Oregon State University in the Fisheries and Wildlife Department from 1989-2004. He also worked for the Oregon Department of Fish and Wildlife as the Wildlife Mitigation Coordinator and as the Oregon Conservation Strategy Coordinator. Michael attended a Boatbuilding School for two years in Maine during the 1970s and was a professional boat builder in Maine, Maryland, Washington and Alaska from 1976-1987. Michael is avid trail walker and kayaker. He is currently the Board President of the Coalition of Oregon Land Trusts and believes that close collaboration between non-profits with similar missions and objectives will be a key factor for protecting Oregon’s natural resource legacy. Molly is a native Oregonian, starting her life in Corvallis and returning to attend Oregon State University, she has spent much of her life exploring the great outdoors. Having previously worked as a wildlife biologist for the US Fish and Wildlife Service, she joined the board in hopes of bridging new connections in the community to its natural resources. She now works part time for a water resource consulting firm as well as the Institute for Applied Ecology’s environmental education program. Molly is a volunteer team leader for the Corvallis Sustainability Coalition’s Natural Areas Action Team, as well as at her daughter’s school, working to build backyard, schoolyard and pollinator habitats throughout Benton County. Phil retired in 2002 after 37 years of research, administration, and teaching at the OSU College of Forestry. His research focused on forest ecosystems and soils. 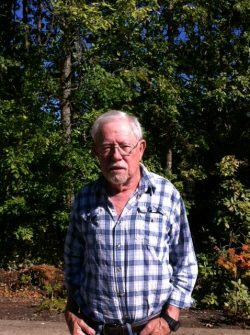 Phil received his BA from Swarthmore College (1966), MA from UNC Chapel Hill (1970), and PhD from University of Tennessee (1972) while doing his research at Oak Ridge National Laboratory. More recently, Phil has worked to document the convoluted and often contentious history of the Corvallis Mill Race, the diversion dam on the Marys River that once fed the Mill Race, and the industrial site at the confluence of the Marys and Willamette (now Holligsworth & Vose, H&V). He has also worked with DEQ, H&V, City and County staff, and Southtown residents to help insure that the site and industrial plant meet standards for air and water quality and soil contamination. Working with MRWC, he hopes to set up continuous monitoring of stream health across the watershed. Peter received his PhD in Environmental Engineering from Cornell University and subsequently spent 31 years as a professor in Environmental Engineering at Oregon State University, retiring in 2006. His research interests varied from remediation of heavy metals contamination in water and soils, nutrient loading and water quality assessment in lakes and rivers, and stabilization of hazardous solid waste materials in highway construction applications. 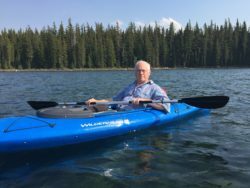 He has participated in water quality studies in several national parks, including Crater Lake, Mt. Rainier, Great Basin, and Yosemite. 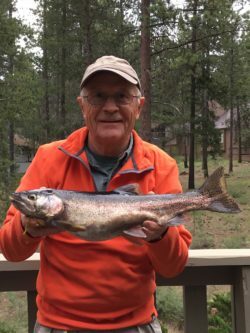 Peter is an avid outdoorsman and especially enjoys fly fishing, kayaking, biking, and cross-country skiing. Although his environmental conservation interests across the Mary’s River Watershed are broad, Peter’s focus is on water quality issues in the more urbanized sub-basins of the watershed. 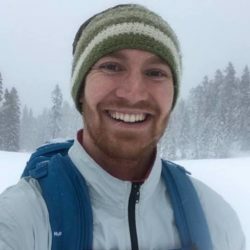 Zach Pike-Urlacher is an Oregon State University student pursuing his MS in Water Resource Policy and Management and Water Conflict Transformation. Zach grew up amongst the mountains, lakes and streams of eastern Oregon and has a strong background in the natural and human sciences. Before joining MRWC Zach worked as a technician for the river restoration firm, Streamwise, in Mount Shasta California. A native Northwesterner, Lee Sherman earned a master’s degree in journalism at the University of Oregon in 1980. Her 35-year career as a reporter, feature writer and magazine editor included her most recent position as a science writer and associate editor for Oregon State University’s research magazine, Terra. 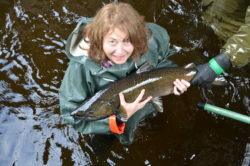 During her 11 years at OSU, her story assignments took her into the field with researchers studying everything from fisheries, wildlife biology, and ornithology to engineering, agriculture and rangeland management. Her stories covered topics such as Pacific lamprey in the Willamette River and its tributaries; wolves and cougars in Eastern Oregon; and international negotiations on climate change. In 2015, she helped create a history exhibit for the Council called “The Shaping of a Watershed,” which now hangs in Benton County’s Sunset Building. She also edited the Council’s newsletter for several years. Lee loves being out in the natural world, birding, kayaking, hiking, and collecting rocks, feathers, cones and seedpods to decorate her mantlepiece. 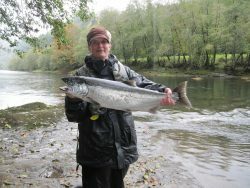 Now retired, she writes nature essays, including one about the Marys River titled “Imagining the Marys,” published in Wild in the Willamette in 2015.